BUTUAN CITY, Aug. 9 (PIA) – The Social Security System (SSS) in Butuan City is intensifying its advocacy campaign by reaching members and possible clients from the different municipalities of Agusan del Norte. During their recent visits to the different Kiss FM stations located in the towns of Nasipit and Kitcharao, and Cabadbaran City in the province of Agusan del Norte, branch head Antonio Fabia reminded SSS members with multiple Social Security (SS) numbers to visit their office to avoid future problems especially during retirement, claiming of benefits and inquiries. Fabia said, in case of multiple SS numbers, the member will submit a request for cancellation of multiple SS numbers in any SSS branch. Once confirmed, SSS will consolidate all the records, including contribution in one SS number. 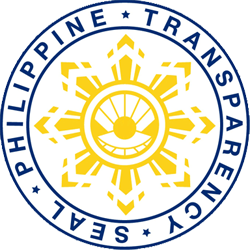 In order to avoid discrepancy in SSS records, Fabia encouraged members to make sure that all records submitted to the agency are correct and are based on the Philippine Statistics Authority or Local Civil Registrar’s copies of birth certificate, baptismal certificate, passport and driver’s license. Also, SSS Butuan Account Management Section team heads Jessejev Tenecio and Carlos ‘Paul’ Flaviano discussed what should an employee do if their SSS employer failed to remit their loan payments. During the discussion, they advised members to report immediately to the SSS branch and issue an affidavit or "Sinumpaang Salaysay" for the formal filing of complaint against their employer. Based on Republic Act 8282, employers will pay PhP5,000 to PhP20,000 with six and ½ to 12 years of jail imprisonment if they fail to remit their employees’ contributions. Meanwhile, Flaviano said that as of July 20, 2018, a total of 1,534 members/borrowers have availed of the Loan Restructuring Program (LRP) of the agency. Flaviano said that a total of PhP17,338,000 has been condoned because of the LRP. Flaviano further said that 428 members who availed the program have already paid their overdue loans in full. "Around 466 members availed the one year installment program; 390 availed the two-year installment plan; 168 for the three year plan; 38 for four years; and 44 availed the five-year installment plan," he said. 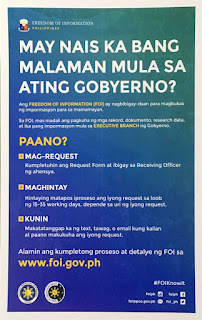 Flaviano said they are targeting a total of PhP20,634,000 that will be collected from the member-borrowers who availed the program within the five-year period. BUTUAN CITY, Aug. 10 - To further capacitate the mango farmers of Caraga region on pest and disease management and in effect boost their production volume and quality, the Department of Agriculture (DA) Caraga through the High Value Crops Development Program (HVCDP) conducted the 1st Caraga Mango Technical Forum on August 7-8 in Butuan City. Regional HVCDP Program Coordinator Marco Antonio C. Morido said that one of the problems confronting the mango industry is the prevalence of pests and diseases which affects the volume and quality of produce of the farmers. The activity aims to address this situation by providing the farmers with ample knowledge on mango pest and disease management. Resource Person Graciela L. Caballero of the Southern Philippines Agribusiness Marine and Aquatic School of Technology (SPAMAST) said that the Philippines is the world’s seventh-leading producer of mangoes and that fresh mango makes up for 59 percent of mango products in the market. According to Caballero, farmers’ practice is one factor that affects the volume and quality of their produce. She also said that canopy management regulates microclimate within the canopy and removes habitat of pests and diseases. Further, she said that canopy management is one of the most important factors in sustaining the yield and quality of fruits in mango. Aside from discussions on mango pest and disease management and insecticide and fungicide resistance management, there was also a demonstration on mango tree pruning. Ponciano Ramacula, the Chairman of the Caraga Mango Producers Cooperative (CARMAPCO) said they are thankful that the Department of Agriculture (DA) continues to support the mango growers in the region by providing them various interventions. “It’s really a good thing that DA caters to the needs of the farmers like the conduct of this technical forum which we really requested for since we believe that we can learn a lot from the resource persons who are mango experts," he said. On the other hand, DA Caraga Regional Executive Director Abel James I. Monteagudo said that there will always be pests and diseases in crops. “They will always be around but we should not stop looking for means to counter them so that the mango industry in Caraga will not be affected but rather will continue to grow and improve,“ Monteagudo said. BUTUAN CITY, Aug. 10 - The Commission on Population (PopCom)-Caraga and the province of Dinagat Islands (PDI), through its Provincial Population Office, officially launched the Adolescent Health and Development (AHD) Caravan which highlighted simultaneous and series of activities for the young people of the said province. A new initiative for the adolescents dubbed "SHAPE Mobile Academy" of POPCOM Caraga was also officially introduced. This initiative is a modular assisted education on adolescent sexuality and reproductive health using the New Sexually Healthy and Personally Effective (SHAPE) Adolescents Toolkit. It also makes use of the Comprehensive Sexuality Education (CSE), both for principle and as an approach. May Ann O. Escobal, Project Coordinator, said that the SHAPE Mobile Academy shall be implemented in partnership with the Department of Education-Dinagat Islands Division. Escobal said Don Ruben E. Ecleo Sr. Memorial National High School (DREESMNHS) is the pilot school for the implementation. PDI is the first area that adopted the said initiative. Signing of the Partnership Agreement of Information and Service Delivery Network (ISDN) for AHD also took place during the launching. Activities during the AHD Caravan included the U4U Teen Trail, SHAPE Adolescents session, AHD Film Dissemination, Learning Package on Parent Education on AHD (LPPEAHD), and Parent-Teen Trail. SAN JOSE, Dinagat Islands, Aug. 10 (PIA) – The Department of Labor and Employment (DOLE) here is set to conduct a jobs fair in the identified municipalities of the province in September this year. The event will commence in the municipality of Loreto on September 6 to be held at the Loreto Municipal Gym, September 7 in the municipality of Libjo, September 20 at the Basilisa Municipal Gym in Basilisa, and September 21 at the Cagdianao Sports Center, Cagdianao town. This is the first time that it will be conducted in the identified municipalities through the effort and sponsorship of the Philippine Councilors League (PCL) Dinagat Islands Chapter. The jobs fair offers various services and job opportunities in which there are 15,227 job vacancies to be availed of for local and international placement, scholarship for children of OFW, pre-employment orientation, one-stop-shop postal I.D. services and other government services. BUTUAN CITY, Aug. 10 - A total of 19 Overseas Filipino Workers (OFWs) and OFW dependents recently participated in the Enhanced Entrepreneurship Development Training (EEDT) conducted here. Engr. Renato Corvera, DTI Agusan del Norte Provincial Coordinator for the Small and Medium Enterprise Roving Academy (SMERA) and Negosyo Center (NC) Butuan Manager, facilitated the entrepreneurial mind setting. The training covered the concept of business, how to understand a business venture, and how to differentiate “poor mind and rich mind”. Corvera also helped them determine their personal entrepreneurial competencies to check their strengths and possible weaknesses in handling a business. Engr. Corvera also asked the participants to present their business ideas. After validation and clarifications, the participants filled out their respective draft business plans. The business plan preparation session was a hand-holding activity where the entries were discussed in detail with the business plan owner. The format used was fitted to the requirement of the financing institution which the Overseas Workers Welfare Administration (OWWA) also partnered with, in this case Land Bank of the Philippines (LBP). In addition, Corvera presented common mistakes encountered by some businessmen and how they overcome them. Since they will be applying for a loan to finance their business, the participants were given bonus topic on how to manage business money. As a follow-through, the participants agreed to email the final draft of their business plan for comments and suggestions. The training is an implementation of OWWA’s partnership with the Department of Trade and Industry (DTI), in order to help OFWs understand the world of business and obtain other inputs as required by the EEDT. EEDT is part of the social preparation given by OWWA to applicants of the OFW-Enterprise Development Loan Program (OFW-EDLP), an enterprise development intervention and loan facility of OWWA. This is in partnership with LBP that intends to support enterprise development among OFWs and their families.